Warner Brothers was Tabberone's first VeRO Victory. 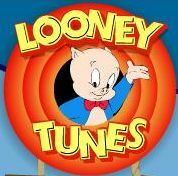 They were, and still are, Looney Tunes in action because they are still playing the same tired song. On August 1, 2001, eBay terminated three auctions by Tabberone upon orders from Warner Brothers. We had never heard of the VeRO Program. Although eBay regularly reminds users to read the User Agreement because it is constantly changing, let's face it, few, if any, really do. It is long, very long, and boring, and often difficult to understand, like tax forms. Tabberone immediately emailed Warner Brothers and eBay demanding to know why the auctions were terminated. We sent the initial inquiry to the name provided by eBay, Eileen Goldstein. A couple days later, having received no response, we began an email campaign aimed at contacting everyone in the food chain if necessary. Warner Brothers finally responded to our inquiries. We were asked to call them at a telephone number provided and discuss the situation. Marc Brandon, Manager, Anti-Piracy Internet Operations, was our first contact with the illogic of VeRO members. After a few conversations they offered the lame excuse that the auctions were terminated because they thought we were using counterfeit fabric. They then agreed to leave us alone and said they would email eBay and reinstate the auctions and Tabberone. We requested they not have the auctions reinstated as we would prefer to relist them ourselves. Warner Brothers took the position that they could not stop people from making and selling fabric items unless what was being done was "inappropriate". That was a very reasonable approach on their part but we do not believe they could legally block what they called "inappropriate". Warner Brothers has maintained a regular takedown policy that doesn't appear to have changed since 2001. The big WB terminates auctions without regard to anything factual in the listings. It seems to us their anti-piracy office is more interested in producing numbers that look good to the front office and not actually protecting the logo. Their "Looney Tunes" symbol applies to more than the cartoons. Add in the anti-piracy office as well.